Dynamix is dynamite! 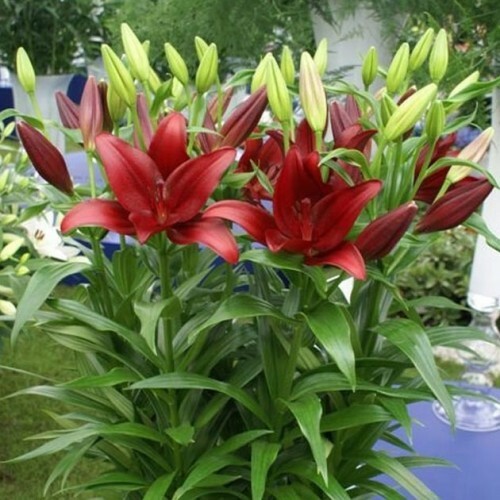 These deep red blooms are large, lovely and long-lasting. These lilies are a cross between the Longiflorum and Asiatic type varieties which means you'll be growing strong-stemmed plants with flowers are bigger than the standard Asiatics. For cut flower enthusiasts there's good news too - they have great vase-life making them the perfect choice for colourful bouquets. Since they can grow to a height of 32 in, 80 cm and dislike dry, hot situations, we suggest planting them in sun or partial shade protected from strong winds. Plant them in a rather heavy soil with an ample supply of humus and good drainage. 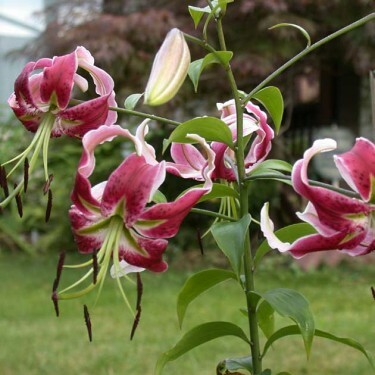 Remove faded flowers and do not cut back stems until autumn. Colonies of bulbs can be left undisturbed for years but should be lifted and separated when they become overcrowded.